Thus I was absolutely SHOCKED upon purusing the Blogosphere to discover that The Krakow Kid, nee Robert Kubica has been seriously injured in an accident during his participation in the Ronde di Andora Rally in Italy. SHEISA-SHEISA-SHEISA!!! 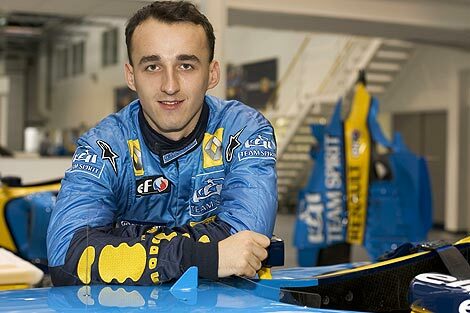 Kubica suffered multiple fractures to his right leg, arm & hand upon colliding with a Church wall/steel Guardrail on the Rally’s route and was reportedly trapped in his Skoda Rally Car for an hour before being airlifted to hospital. He’s since undergone surgery to repair his severely crushed hand and will reputedly miss up to six months (or more? Since there’s currently NO Timetable for his recovery...) whilst rehabilitating.